I envisioned the founder of the company meeting with a high-priced marketing consultant. The consultant asks, "What type of products does your company make?" The founder explains that the company produces plumbers tools, furnaces, and torches. He adds that gasoline burns in most of our products. The bright consultant immediately latches on to this statement and suggests to the founder that they might want to incorporate the word "burns" in the company name. Now the marketing consultant is on a roll and decides it would be even better if they could come up with a unique spelling for the word "burns". After numerous futile attempts, he settles on "bernz". Both he and the founder thought this was quite clever and they should go with it. But the name of the company needed more, what could they combined with it? Perhaps one of the two of them was familiar with the heavily advertised Veg-O-Matic (It slices! It dices! ), and liked the sound of the name. They decided that they would just "borrow" a portion of that name to use for the company. It was then just a simple step to combine the two words together to become "Bernz-O-Matic", which they condensed to "Bernzomatic". In this version of how the name was developed, I felt the consultant had performed a feat of marketing genius. He created a name that contained the essence of what the company did, while at the same time, was quite memorable. I have discovered that an inventor and craftsman was the founder of the company in 1876. His name was Otto Bernz, and not surprisingly, he named his company "Otto Bernz Co." So it was just a fortuitous coincidence, not a marketing coup, that the sound of "burns" is in the company name. In the 1940s the company relocated to Rochester, New York and changed its name to Bernzomatic. I have not been able to find out where the "omatic" came from at that time. Who knows, it might have even been a high-priced marketing consultant! 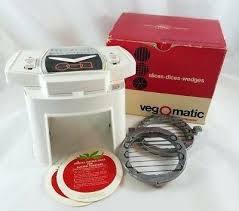 However, I am positive they did not borrow it from Veg-O-Matic, since it was not introduced until 1963 at the International Housewares Show in Chicago. Perhaps Veg-O-Matic stole "omatic" from Bernzomatic? If you know anything more about the Bernzomatic name, I would appreciate you sharing it in the comments below. Thanks.